The opportunity to deliver a TEDx Talk was such a great experience. 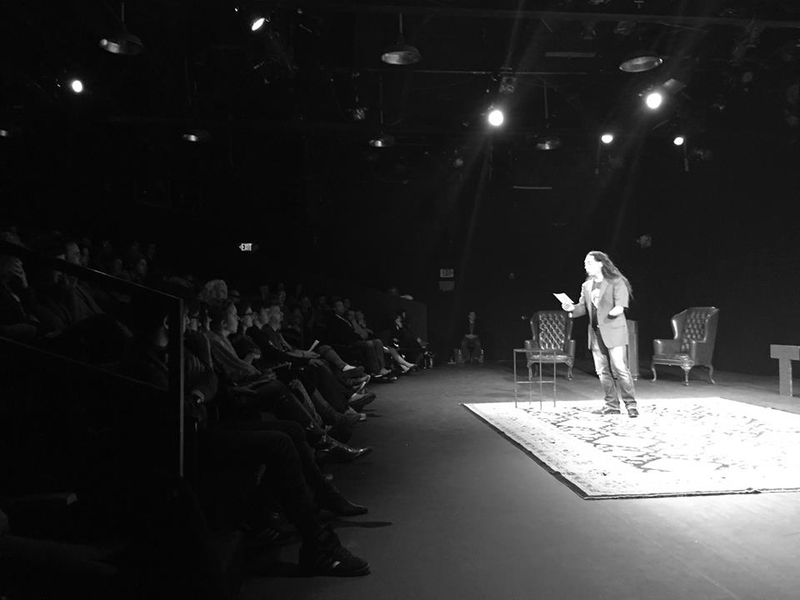 I was able to express my “Idea Worth Sharing” on a international global stage. What I wanted to share with people was the idea of “Disabled Thinking.” This was a concept that came out of a discussion I had with my Buddhist Teacher, Dzogchen Khenpo Choga Rinpoche. We were talking about what it really meant to have a disability. “Is disability in the mind or is it in the body? 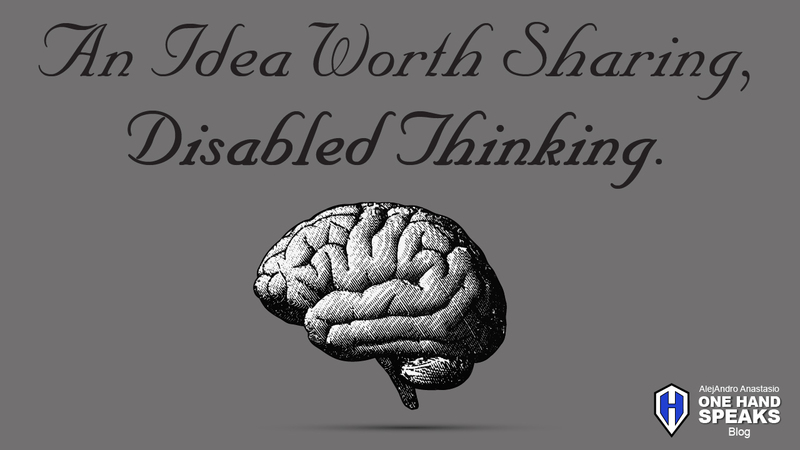 It was through many conversations and discussions the idea of “Disabled Thinking” unfolded. When I had the chance to share an idea on the TEDx platform, disabled thinking was the title. After this initial conversation many past contemplations fell more clearly into place. 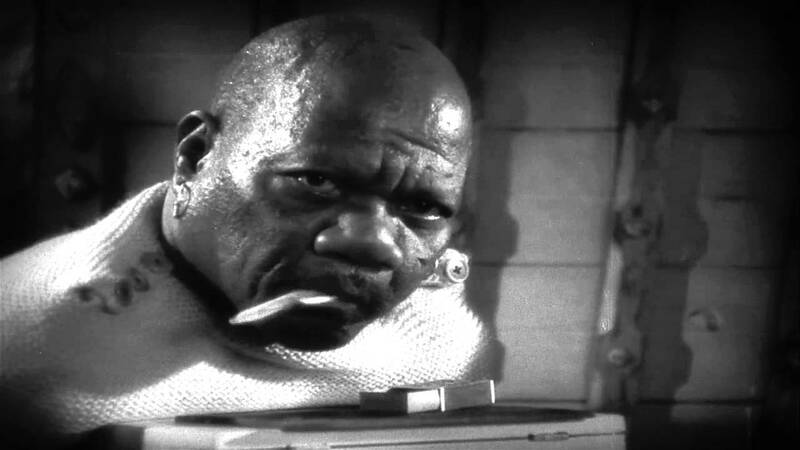 One example was seeing the vintage film clip from Tod Browning’s 1932 movie called “Freaks.” I saw Prince Randian, known as the Human Torso,” who was a famous limbless sideshow performer of the early 1900s roll cigarettes and light them from a wooden matchbox with his lips and tongue. I took one look at this guy, looked down at my one-handed body, and then thought to myself, I think I can do a little more!” I was inspired by this man who had no arms and no legs and could roll and light his own smoke. When I was at a younger age people were always impressed when they saw me roll my own cigarette. If fact, when I was in college one of my roommates had me roll his cigarettes because he said I did it better than he did. Often people would said how they could not “roll their own” with two hands after they watched me do. Then I would tell them about the man with no arms and legs roll and light his own cigarette. Over the course of this life and culminating with my conversation with my Buddhist Teacher I have always pondered what it is to be disabled. After many dialogues with Dzogchen Khenpo Choga Rinpoche we came to the term, “Disabled Thinking.” It is not just a physical thing. It is more a mental thing. We concluded it has to do with our thinking. The questions he asked me was, “is your thinking disabled? What would you rather have, a disabled body or disabled thinking?” I said, “a disabled body.” From that moment I have been formulating this concept of “disabled thinking” as a vehicle to help people better understand the power of their thinking and the potential to overcome an self imposed limitation. AlejAndro delivering his idea worth sharing at the 2015 TEDxBoise event. 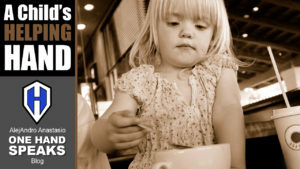 To hear about the process and inspiration which lead me to the concept of “Disabled Thinking,” I invite you to listen to my One Hand Speaks Storytelling Podcast Episode OHS046.